With a new president coming into office, hopes for a break in the Syrian conflict are abound. However, these hopes are likely misplaced. Recent US designs for the destruction of Syria began unfolding, not during the administration of US President Barack Obama, but in fact during the presidency of George Bush, and were merely continued, and clearly expanded upon under President Obama. Pundits and policymakers on both the “left” and “right” of the Western political spectrum have made arguments for continued, even expanded US war with Syria, simply behind the smokescreen of varying partisan narratives. In the end, however, the Middle Eastern nation’s overthrow – and failing that – its incremental and systematic division and destruction, remains Washington’s ultimate endgame. President-elect Donald Trump’s campaign for the past 2 years or so has been openly guided by elements of Washington’s political establishment often referred to as Neo-Conservatives. This includes former Central Intelligence Agency (CIA) director during the Bill Clinton administration, James Woolsey, an avid supporter of US war with Iran who served as Trump’s adviser on national security, defense and intelligence, Politico would report. Together with Woolsey, Trump has either invited in or courted other members of the so-called Neo-Conservative establishment including former US ambassador to the UN, John Bolton, former New York City mayor, Rudy Giuliani, and former Speaker of the US House of Representatives, Newt Gingrich. Joining them is media personality Steven Bannon of Breitbart News, the establishment’s “right cover” retrenched within what is otherwise the independent and increasingly influential alternative media. Woolsey, Bolton, Giuliani, and Gingrich have all lobbied for years as advocates for war with Iran, including lobbying directly for US State Department-listed foreign terrorist organization, Mujahedeen-e-Khalq (MEK) as a means of propping up a capable, armed, and fanatical proxy with which to indirectly wage war on Iran, much as the US is currently using Saudi Arabia, Qatar, Turkey, and proxy groups like Jabhat Al Nusra and the self-proclaimed “Islamic State” (ISIS) to wage proxy war on Syria. In fact, war with Syria has been long determined by US policymakers as an essential prerequisite before waging war on Iran. 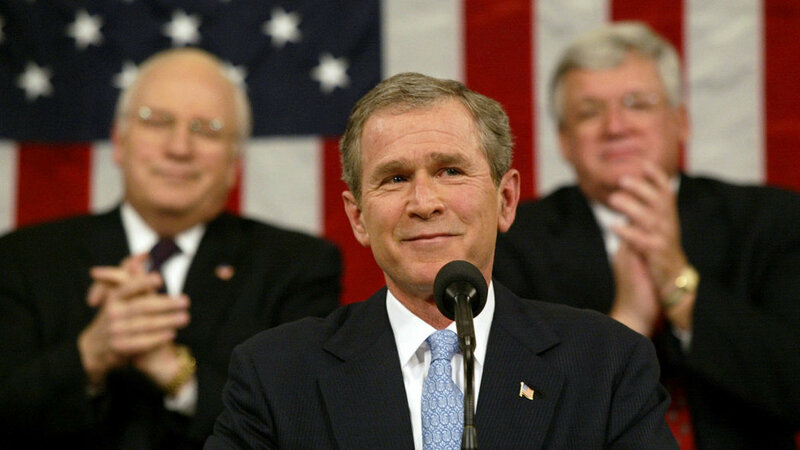 Syria’s inclusion within the Bush-era “Axis of Evil” was in fact announced by Trump-ally John Bolton under the Bush administration in 2002. The United States has added Cuba, Libya and Syria to the nations it claims are deliberately seeking to obtain chemical or biological weapons. In a speech entitled “Beyond the Axis of Evil”, US Under Secretary of State, John Bolton said that the three nations could be grouped with other so-called “rogue states” – Iraq, Iran and North Korea – in actively attempting to develop weapons of mass destruction. He also warned that the US would take action. And the US would indeed take action, utterly destroying Libya and setting itself upon Syria, only not during Bush’s eight-year term in office, but under his successor’s administration, beginning in 2011. Hersh, in his 9-page report, would enumerate how financial, political, and material support was already benefiting extremist organizations associated with this expanding conspiracy, organizations that would soon be directly involved in the 2011 Syrian conflict including the Muslim Brotherhood and armed militant groups aligned with Al Qaeda. It should be noted that Trump’s political allies among Washington’s Neo-Conservative clique, have been lobbying for MEK terrorists as recently as July of this year. In Paris, France, Bolton, Gingrich, and Giuliani were shoulder-to-shoulder with the Saudi Royal Family calling for “regime change” in Tehran. Noting that the elimination of Syria and Hezbollah are essential prerequisites for this “regime change,” should pique concern regarding the incoming administration of President-elect Trump. 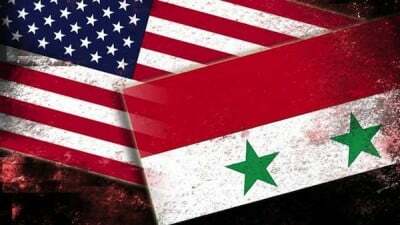 With Russia’s steadfast intervention in Syria upon Damascus’ request, and with the positive outcome of the Syrian conflict for Moscow key to Russian national security, it is unlikely that genuine rapprochement between the US and Russia can actually be made. The hope of Trump allying the United States with Russia should be interpreted as a political ploy not unlike the now obviously disingenuous “reset” Hillary Clinton herself presided over as US Secretary of State in 2009. As Secretary Clinton posed for pictures with Russian Foreign Minister Sergei Lavrov holding an emergency stop button with “reset” written on it, US policymakers were already deeply involved in the planning of not only political unrest within Russia itself through the use of US-funded opposition groups, but planning fully on the liquidation of Russia’s traditional allies throughout the Middle East and North Africa region (MENA), Eastern Europe, and Central Asia via the upcoming “Arab Spring” conflagration. With Trump now incoming as US president, the Western media is attempting to capitalize on campaign promises made by Trump himself regarding “safe zones” in Syria and the exploitation of the refugee crisis triggered by US interventions across the MENA region. Trump has made clear during the course of the election that he would not take in any Syrian refugees. While that’s not the position I wish he would take, I can live with this, because keeping refugees out matters to him, and presumably his many supporters. And ultimately, the humane and practical solution is to secure a safe zone within Syria so that other countries, including ours, do not have a refugee crisis in the first place. Indeed, one of the most straightforward things we can do — and the most significant — is to give Syrians a safe way to return home. It’s also something Trump and a Republican-led Congress could agree on. However, “safe zones” are not a new idea. They also have nothing to do with addressing the humanitarian disaster unfolding in Syria. They were introduced by the very engineers of the Syrian conflict among US foreign policy circles, and were designed not to help end the war or protect refugees, but to “bleed Syria” to death as a functioning nation state by intentionally protracting fighting for as long as possible. If it seems that Trump’s campaign speeches, his campaign and transition team, as well as his prospective presidential administration seem fully arrayed to preserve a continuity of agenda that has so far, clearly transcended both the 8 year term of Bush and Obama’s subsequent 8 years in office, that’s because it is. Russian “optimism” regarding America’s incoming president is likely nothing more than a diplomatic gesture of goodwill. And just as Foreign Minister Lavrov humored Secretary Clinton’s “reset” charade, fully anticipating treachery, Russia and its Syrian allies must prepare fully for American treachery once again – from an administration carrying the distinct DNA of the very policy circles that added Syria to the “Axis of Evil” in the first place, and has since then worked ceaselessly to undermine it and its allies for well over a decade.